Friday Music is proud to offer this fine album for the first time in over forty years! This first time c.d. release is now enhanced with the addition of the aforementioned Take Me To Paradise and the brilliant The Girl From Chelsea which truly shows a transition from pop crooner to future rock star. 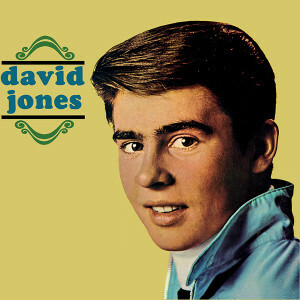 In 1967, the David Jones l.p. charted thanks to his rise to fame as a member of The Monkees and the album cover was cleverly featured in The Monkees TV show episode, Monkees At The Movies. 1. "What Are We Going To Do?" 2. "Maybe It's Because I'm A Londoner "
3. "Put Me Amongst The Girls "
5. "Theme For A New Love "
7. "Face Up To It "